Dr. Ankita Sawant has 2 yrs of clinical experience much of which has been into orthodontics treatment. And Practicing in Delhi NCR since then. 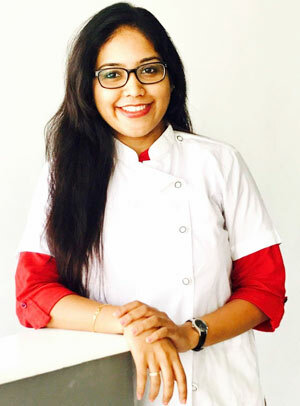 She has earned her undergraduate degree (B.D.S-2013) and post – graduate degree (M.D.S in orthodontics-2016) from Rural Dental College, PIMS in India. She is qualified Invisalign consultant to provide clear aligner orthodontic treatment. Apart from this due to her keen interest in Aesthetics, She has done courses in Botox, Aesthetics Restorations, CBCT diagnosis under the prestigious Indian Academy of aesthetics and cosmetic Dentistry (IAACD).